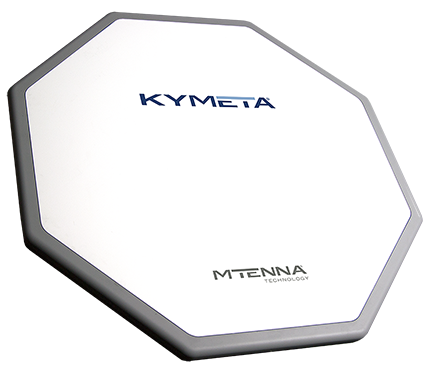 Kymeta has announced the commercial availability of the firm's newest offerings, the mTenna PLUS and mTenna SELECT, which bring reliable communications to a broad range of markets. mTenna PLUS and mTenna SELECT work with Kymeta KyWay™ outdoor units (ODUs) to deliver performance amplification and coverage extension. The mTenna PLUS increases throughput by combining the receive connection of two to four ODUs, delivering up to 5.4dB of effective RX gain and signal-to-noise improvement for four coplanar antennas. Once combined, the signal is passed to a standard modem through an L-band interface. In non-coplanar installations, the mTenna SELECT switches ODUs to transmit data from the most optimally positioned unit, switching as the vessel or vehicle turns or changes direction. mTenna PLUS and mTenna SELECT also provide a new solution to solve a common problem in sophisticated installation environments, where internet access can be impacted by blocked look angles, high-speed motion, and other unpredictable conditions. Together, mTenna PLUS and mTenna SELECT can provide flexible, scalable, and adaptable satellite connectivity for a broad range of applications, both fixed and mobile. David Fotheringham, Product Manager, Kymeta, said that by aggregating as many as four ODUs, mTenna PLUS and mTenna SELECT offer a scalable solution for additional RX gain, ensuring reliable internet access at high speeds or on rough seas or terrain. Currently, multiple gimballed dishes would have to be used to achieve 360° look angles with horizon-to-horizon coverage to prevent blind spots. mTenna PLUS and mTenna SELECT allow us to solve the same problems with a more streamlined and elegant solution.